As a beta tester your goal will be to create a spinnable mockup — click on the Spinnable Sample button to see what it should look like. If the panel behaves unexpectedly or appears broken please send us a bug report. To send us a report, select Report a Bug… from the flyout menu. Then fill out and submit the form which appears in your browser. During your testing you may encounter an ERROR! modal to indicate that something went wrong. When an ERROR! 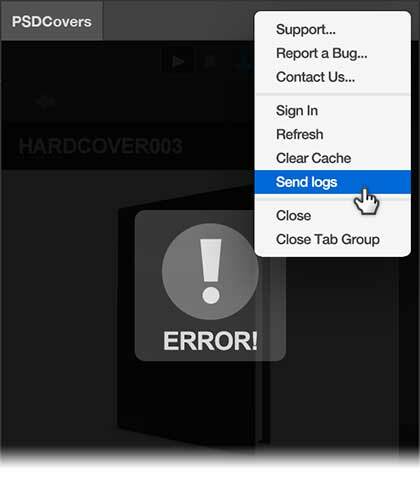 modal appears we ask that you open the top-right flyout menu located on the panel and select Send logs. A transcript of the error will be emailed to us so that we may investigate the error and possibly issue a fix.